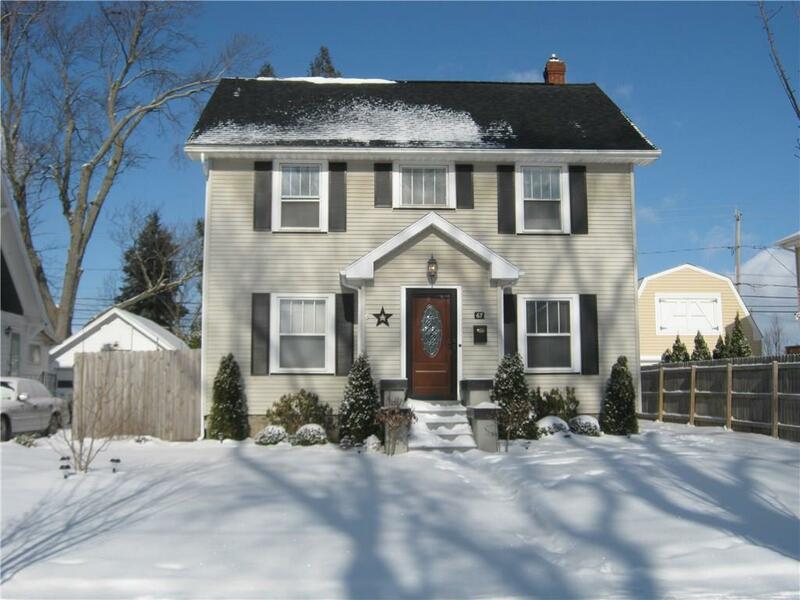 You will fall in love with this charming vinyl sided city Colonial, newly remodeled in (2018) beautiful eat in kitchen boasting gorgeous hickory cabinets, corian counter tops and all stainless steel appliances, formal dining room with hardwood flooring. Cozy living room with gas fireplace. den/study. 3 bedrooms and one bath on second floor, plus additional 4th bedroom in finished attic. Recently installed 150 AMP broker service and central A/C in (2017) Fully fenced yard, above ground pool, plus detached garage. A Must See!! !